Darren’s robust advocacy and attention to detail has led to a busy civil practice with emphasis on matters arising out of road traffic accidents. He has a particular expertise in credit hire matters and accepts instructions from both Claimants and Defendants. Darren is unusual amongst barristers in that he actually enjoys credit hire work and happily accepts instructions in the upper reaches of the fast track and multi-track all over the country. Darren's other particular area of expertise is in those those cases involving fraud, fraud rings and where findings of fundamental dishonesty are sought or trying to be avoided. Alongside his busy Court practice Darren has an advisory practice in a wide range of civil matters including personal injury including costs, industrial diseases, contract, consumer credit, landlord and tenant and trust of land cases. Darren represented a husband and wife who were Defendants against a solicitor’s claim for their costs of approximately £22,000. After trial, the court agreed that the solicitor’s retainer was such that the claim should be dismissed. The Claimant’s were awarded their costs of the action. 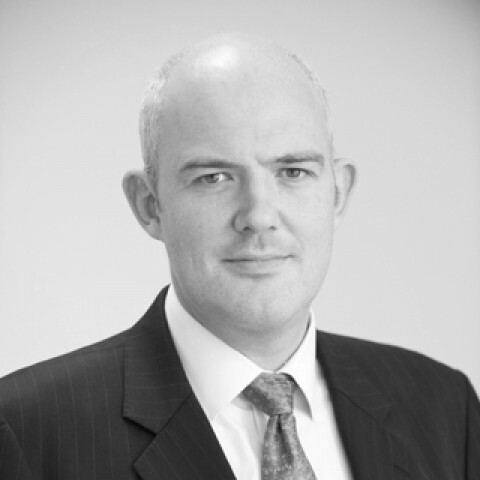 Instructed in a credit hire matter of some £32,000 for the Claimant, who faced allegations of fundamental dishonesty and section 57 applied, Darren was successful in obtaining damages for the Claimant. No finding of fundamental dishonesty was made, and the court accepted Darren’s submissions that section 57 did not apply to the claim in any event, regardless of whether any finding of dishonesty was made or not. Darren represented the Claimant in a hearing at which was directed to be held to consider whether a finding of fundamental dishonesty should be made. The Defendant’s applicaiton was dismissed with costs standard costs awarded to the Claimant. Acting for a Defendant insurer on a credit hire matter, after 'robustly and forensically' cross examining the Claimant, the court found that the Claimant did not have a need to hire a motorcycle and dismissed the claim of some £17,000. Acting for the Claimant in a credit hire case of some £23,000, Darren successfully obtained judgment for every penny of that claimed, despite 'problems' with the Claimant's case. Darren persuaded the court after a 'tour de force' of the case law, that the steps the Claimant had taken to mitigate his loss of use were reasonable - despite a complete lack of evidence by both the Claimant and Defendant on the point - by reference to other cases. An unexpected and happily received outcome. Represented the Appellant in Howlett v Davies  EWCA Civ 1696 where the Court of Appeal considered and clarified: (i) whether Defendant insurers needed to plead and put in cross examination dishonesty or fraud before such a finding can be made by the court; and (ii) the meaning of fundamental dishonesty. Darren acted for the Defendant insurer in a motorcycle credit hire claim of some £30,000. At trial the Judge found the Claimant had no need to hire a vehicle and dismissed the claims. The Judge further found the Claimant was not impecunious. Defendant insurer awarded 75% of its costs. I would like to thank Darren for accepting a brief for a hearing concerning whether a client had been fundamental dishonest following the discontinuance of a claim. Darren contacted me on receipt of the brief to discuss the merits of the case and provide additional clear advice for the client. Darren won the hearing and recovered costs, will definitely be instructing Darren again. Outside of these key areas of law, Darren Bartlett is always willing to consider any enquiry requiring the experience or knowledge needed to help you or your client. Please call Darren direct or the support team on 01823 247 247 if you would like to discuss any aspect of this profile.